This past week I got an email from Reuben asking if they could stay on October 4th. I was pretty excited: this would be the first time I'd meet people online first & in real life second. We tidied up the house a bit, mowed the meadow our back lawn had become & waited for their arrival. They arrived in the afternoon not long after Sprout's nap & the kids immediately started playing with his toys. We all hung out for a while & then got a disorganized dinner together. I'd managed to pick up some snack food, but we hadn't planned dinner. Whoops! In the end everybody got fed & we even had some time to chat after all three little ones were in bed. We all got along quite well & ended up talking about kids & parenting & travelling, but didn't get time to hear that much about Their Big Adventure. I may try getting some good stories out of them later in a Behind the Blog feature (which is on hiatus at the moment, by the way, while I get used to juggling daycare dropoffs, homework, etsy sewing & Vancouver Mom writing). Tuesday morning, amid the bustle of getting all seven of us dressed, fed & out the door, we couldn't find our camera, so got no pictures of them. You'll have to visit www.pedalpoweredfamily.com to see our new friends, sorry! 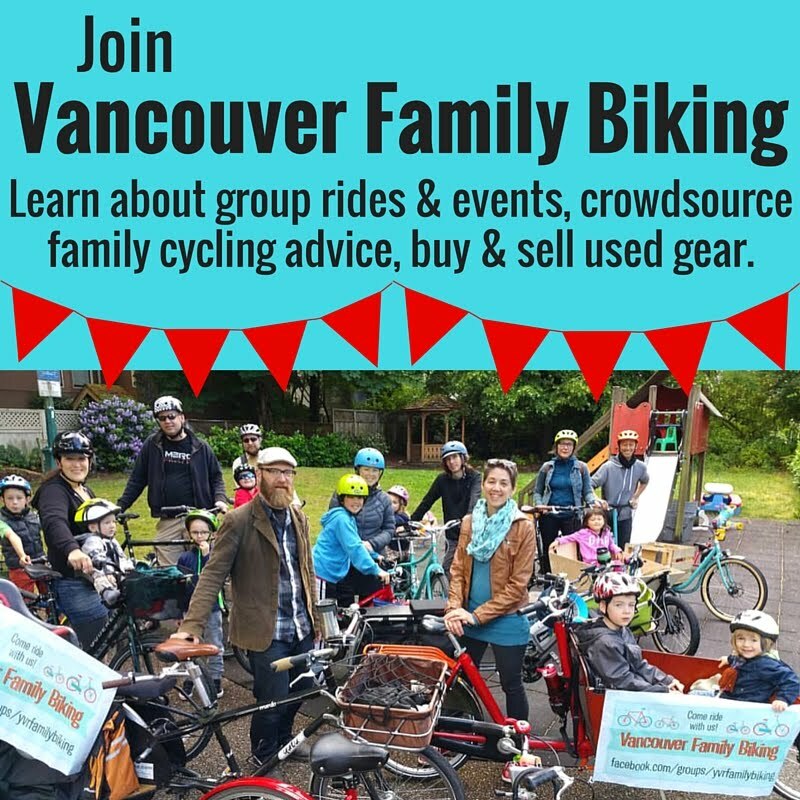 Though they've inspired me to do some bike touring with our little family, I doubt we'll make it all the way to their home of Hamilton to visit... maybe they can come back to Vancouver for another visit in the future?